This luxurious makeup brush set includes a Powder Brush, Cheek Brush, Eye Definer Brush, Eye Crease Brush and Eyeliner/Eyebrow Brush 每 all with sleek black wooden handles. 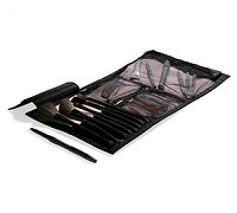 The set also includes the Mary Kay® Cosmetic Organizer bag, so you can just roll up your makeup brush collection and go! 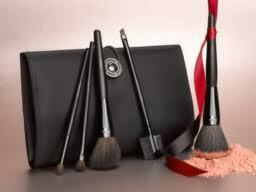 It's even roomy enough to add your Mary Kay® Compact, lip gloss, mascara, other makeup applicators and more!